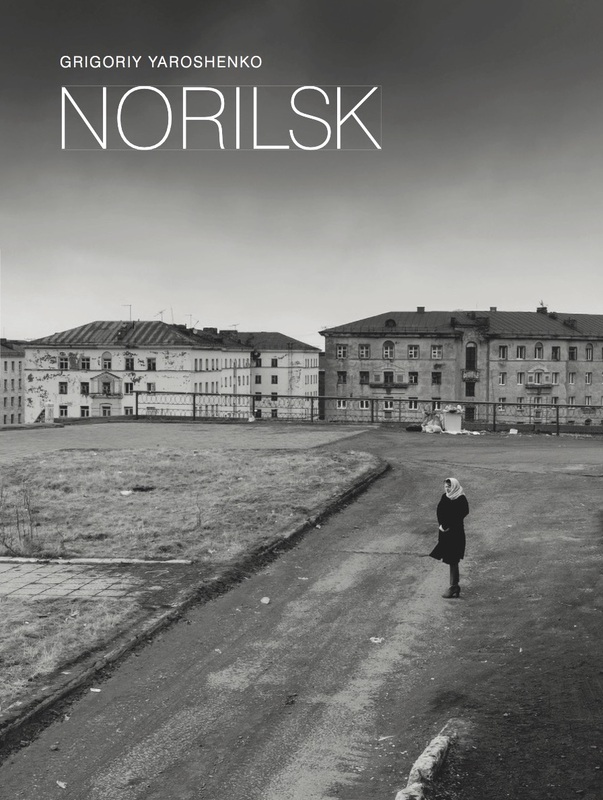 White Space Gallery in collaboration with Pushkin House presents a visual performance by Moscow based photographer Grigoriy Yaroshenko and renowned cellist and electronic music producer Vytautas Sondeckis to mark the launch of Yaroshenko's new book Norilsk. Please join us for a performance of live Guarneri cello and electronic EMS synthesizer performance by Vytautas Sondeckis, accompanied by a series of projected photo images of Norilsk by Grigoriy Yaroshenko. This will be followed by a Q&A with Grigoriy Yaroshenko and book signing of his brand new book Norilsk published by White Space Gallery. Grigoriy Yaroshenko (b. 1971 in Moscow) graduated from the Moscow Institute of Cinematography. He has since worked as a photographer and a cameraman for over 20 years and received several awards for photography, including the Silver Camera Award (2009), Black & White Photography Award, The Spider (2012), 1st Prize of the Museum of Photography and Modern Art, Tampa, Florida. (2016). Major recent photographic series include Touch me if you can catch me (2016) photographed in an orphanage for blind and deaf children, Norilsk (2015), Britain (2014), and Trench (2013) which portrays Uzbekistani migrant workers and their life in Moscow and Uzbekistan. Vytautas Sondeckis was the first Lithuanian winner of the Australasian International Cello Competition in 1997. Born in 1972, he is the son of the famous conductor, Saulius Sondeckis, his mother, Silvija Sondeckiene-Narunaite, having been a pupil of the great Russian cellist, Mstislav Rostropovich. His mature education took place at Vilnius Ciurlionis music college with Romanas Armonas later at the St Petersburg Conservatory by Prof Anatoli Nikitin. In 1993 he became a student of David Geringas in Lubeck, and in 1996 became Solo Cello of the NDR Symphony Orchestra. Vytautas Sondeckis is also a succesful Crossover/ Electronic/Jazz muscian. Collaborations with Marius Adomaitis, Ten Walls, Bugge Wesseltoft, Nils Petter Molvaer, Lars Danielsson, Jan Bang, Eivind Aarset, Arve Henriksen, Egidijus Buozis, Jacky Terasson, Suzy Hildegard, Caecilie Norby, De Phazz, Brian Eno. Vytautas Sondeckis records available on EMI, Universal, Warner, ECM, Naxos labels. Photographs: Grigoriy Yaroshenko. Essay: Andreas Petrossiants. Translated into Russian by Natalia Rubinstein. In a memorable image from Michelangelo Antonioni’s La Notte (1961), Lidia stands at the corner of a building, framed by the developing outskirts of Milan during the miracolo economico. As seemingly stagnant contemporary ‘ruins’ decay around her, they simultaneously continue to expand with Milan’s economic development. This collapse of history into place is captured in the photographs by Grigoriy Yaroshenko contained in this book. The pictures take the Russian city of Norilsk as their protagonist—somewhat analogous to Antonioni’s portrayal of Lidia. 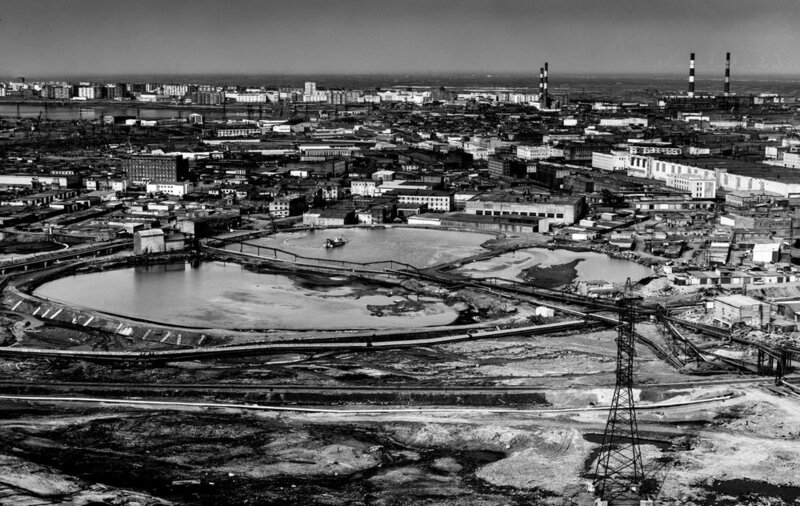 The city’s collective memory includes traumas that are inscribed into its ruins: composed of massive and expansive housing blocks, seemingly infinite mines, quarries, and factories, and a permafrost extending towards the horizon in every direction. Its operating factories and plants are as much a fabric of the city as its natural geography. It was founded as a site for forced labour, constituting the centre of the Norillag system of GULAG labour camps, with 72,500 inmates at its peak in 1951. Looking to Yaroshenko’s series of pictures, it is clear that the past and present can not be separated from one another – the former informs the latter, and the latter contains the former’s mark, rhythm, and material/immaterial ruins. Yaroshenko’s wandering eye has captured how a city can emerge from darkness in more ways than one, and can carve out a present without forsaking its history in the process. Episode 06. Where The Rivers Ran Red featuring Anya Stonelake, White Space Gallery now available.